Eco chic millinery......that doesn't cost the earth! 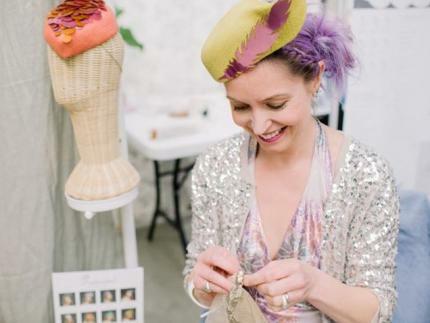 Chloe Haywood an award winning milliner who designs and makes hats in the UK from sustainable materials. She has contributed to three books, and with designs seen in Vogue, Elle, The Times and Cosmopolitan, this small business has come a long way since it started as a hobby in 2009. Chloë designs from her workshop at the end of her garden in Surrey and is proud to be a Fellow 500 of The Ethical Fashion Forum.